Want to win FOTF and sash it up big time like a true fashionista? Read on baby!!! You love fashion, right? You can put an outfit together with the best of them and you have a trusted Milliner on your side.... surely this is your time to sash it up? 1. Wear what you love - no matter what your style - embrace it and do you!!!! This is a good idea for a few reasons but mainly when following what you love and not trend you are also ensuring you wont see another lady there in the exact same outfit. And if like me this has happened to you, have a laugh about it, ask her for a twinsy photo and move on. 2. Worried about who you know or don't know? I get it, we see the judges there with their friends and think well its who you know not what you wear but guess what this isn't true. The judges are just as worried about being fair as you are so don't stress about that! And bonus their friends that are entering want to win on merit not because of who their friends with! Plus this hobby is addictive so its no wonder we all know each other. 3. Try to relax and have fun on the day. If you are laughing with your friends and feeling good this automatically rubs off on stage giving you confidence, a great smile and helps you engage with the crowd. 4. Look the best you possibly can. 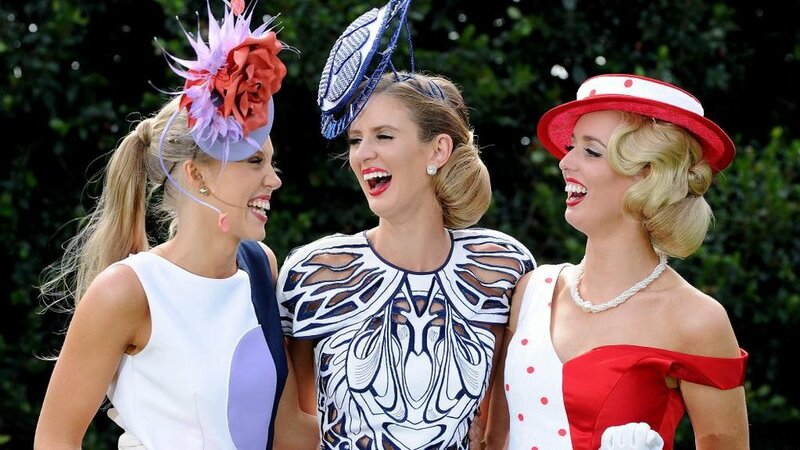 Groom like a stage Mum, ask for help from a trusted source who knows racing fashion and practice your walk. 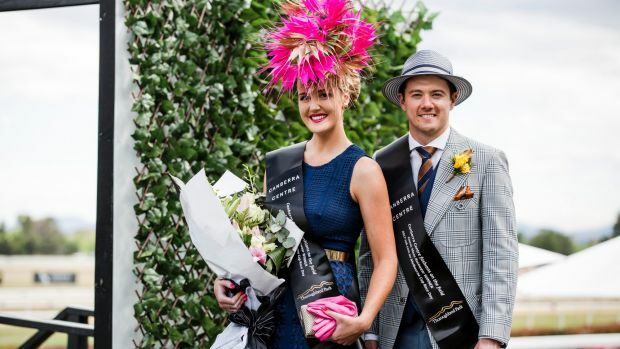 Fashions on the field winners Cobie Sheehan and Joshua Burgess. Girls there is no magic formula, sorry. All you can do is look your absolute best on the day and hope that what you think is the best aligns with the judges taste. If it does well that is brilliant! If it doesn't well you are still looking and feeling your best with your girlfriends who are looking and feeling equally as fabulous so you are all winners!!! !